Wedding comes in a girl's lifetime only for once, and it comes with a load of happiness as well as tensions. Tensions in sense what should we wear, what will be our wedding theme, how can everything will finish in a smoother manner and all. But the biggest problem for a Bride to be is her wedding dress. Its too tough to select a wedding dress as you need to select it according to your needs and mood. plus after trying around 100's of dresses we select a single one for ourselves, coz looking beautiful and feeling comfortable is also necessary for us. Oh and how can we forget the price factor ... uff too much tension. 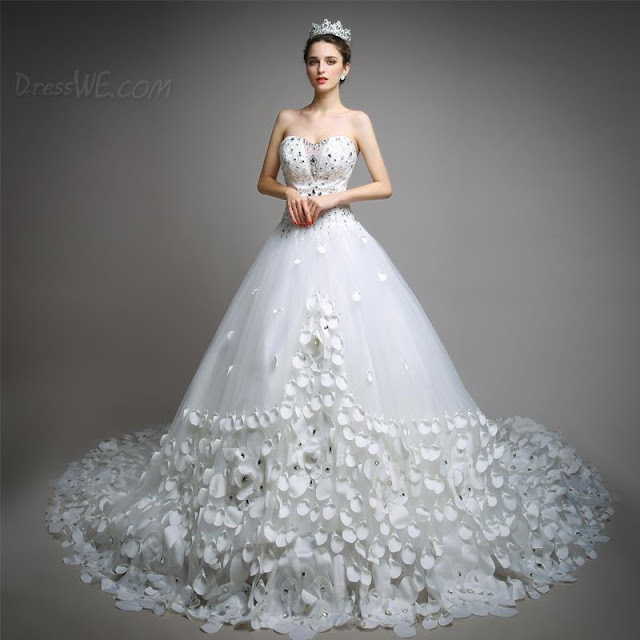 Very beautiful wedding dress, if you are looking for something different then white color gown, then this is the dress to go for. A very simple wedding dress which will give your look a simplicity and smake you look stunning also. Perfect for outdoor or garden wedding theme.